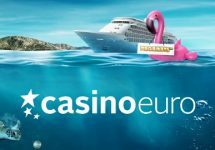 Casino Euro – Daily Deals | Week 22! Log-in to get your special deal! Special Casino offers throughout the week! Dive into a new gaming week at Casino Euro with yet again superb offers from their “Daily Deals” campaign where all players can enjoy bonuses and Free Spins as well as exciting tournaments, random prize drops and a special Live Casino reward on Sunday. Start the week on a high with a 50% match bonus for your first deposit on Monday. 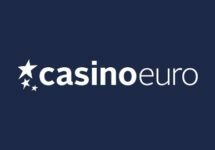 Monday, 28th May 2018: Reload Bonus – Deposit minimum €10 to receive a 50% deposit bonus, up to €15. Wagering requirement is 40x bonus within five days. 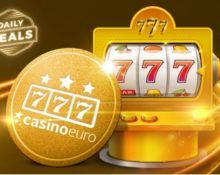 Tuesday, 29th May 2018: Free Spins Mission – Deposit minimum €20 to instantly receive 20 Free Spins on Golden Ticket. 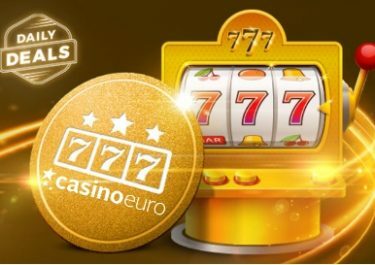 Play the slot with any bet size and hit the bonus round once on the game to receive another 20 Free Spins, credited by 17:00 CET on Wednesday. WR is 15x FS winnings within 5 days. Wednesday, 30th May 2018: Lucky Spin – Enjoy 1 Free Spin on Lost Relics™, no deposit needed. The TOP3 scoring the highest wins from the spin will be rewarded with cash prizes: 1st – €1,000 | 2nd – €250 | 3rd – €100, credited with no wagering requirement by 15:00 CET on Thursday. Thursday, 31st May 2018: Prize Drop – Spin actively on Legacy of Egypt and you could randomly trigger a prize drop. Available prizes are 1x Mac Book Pro 13″ and 50x €20 bonus, credited by 15:00 CET the following day with a 20x wagering requirement within five days. A cash alternative of €1,000 is available for the Mac Book. An in-game tab displays remaining time and prizes. Friday, 1st June 2018: Free Spins – Deposit minimum €15 in a single amount to instantly receive 40 Free Spins on – TBA. WR is 15x FS winnings within five days. Saturday, 2nd June 2018: Goodie Bag – Deposit €30 in a single amount to instantly receive 20 | 20 Free Spins on Piggy Riches | Book Of Dead. WR is 15x FS winnings within 5 days. 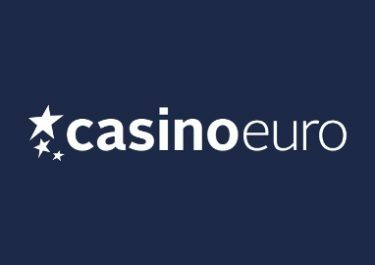 Sunday, 3rd June 2018: Live Casino Bonus – Wager minimum €50 on Lightning Roulette to instantly receive a €20 bonus. Wagering requirement for the bonus is 10x within five days.